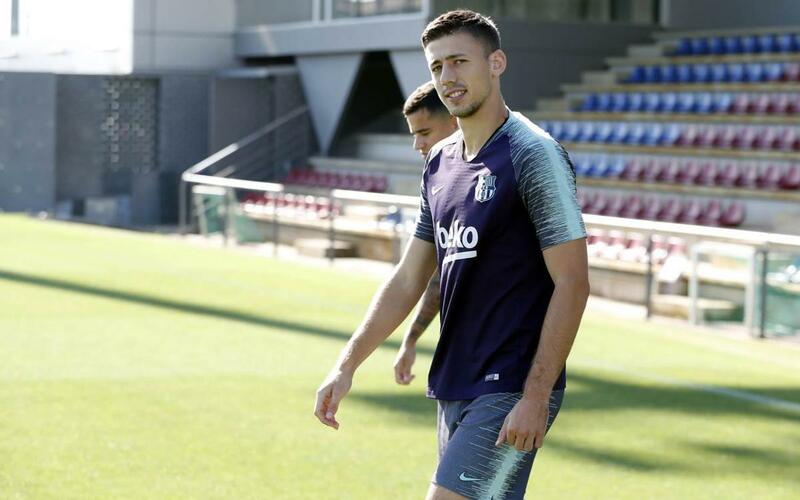 Clement Lenglet gave an interview to France Football this week, in which he talked about events since his arrival at FC Barcelona in the summer and his adaptation to the club. Here are some of his most noteworthy statements from the chat with the prestigious French magazine. "We have a lot of possession, but when we lose the ball we are 50 metres from our goal and the opposition try to take advantage of this immense amount of space. At Sevilla, Sampaoli taught me how to defend upfield, which I didn’t do in France. It was a very important learning process." "I’ve gained experience in Spain, but also improved on a technical level because LaLiga is so demanding. I have also developed physically and in my reading of the game." "The club’s facilities are first class. We have a gym that uses the latest technology and everything we do on the machines is put through computers for analysis. I've never seen anything like it!" "Training starts with a ‘rondo’ and the ball is always there. We continue with games in very small spaces. Everything is designed so that the ball moves around faster and the game flows." "When I steal the ball from Messi I feel proud; he is capable of doing whatever he wants and in training you struggle when marking him. Coutinho? He is very fast over the first few metres and can change direction with tremendous speed." "Piqué and Alba are always joking around. We have fun with them. Rafinha also loves a laugh, and Busquets is more serious but he likes jokes too. As for Rakitic, he is very discreet, despite his extraordinary career so far. He is so respectful that he gives the impression that he is a young player from La Masia." "They are very classy and very friendly players. They are also jokers. When you are with them every day you realise that they are great people, and that we have a great atmosphere." "If I play, I will provide a lot of intensity and aggression to help the team to get the 3 points. I will try to be as efficient as possible -in our position you have to be very cool headed." "They have a lot of experience and we work to help each other progress. They have international experience that I do not have, despite me having played in the Champions League. When I signed for FC Barcelona, I did so knowing that they would be staying. I would like to play as much as possible, but it’s not about these first 3 months; I'm here for the long term."